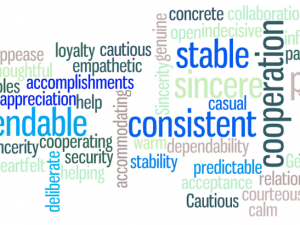 An S-style personality may be limited by being indecisive and display a tendency to avoid change. D-styles in conflict can become competitive and headstrong. They may be less concerned about damaging the relationship. Avoid viewing their directness as a personal attack and try to state your points objectively without getting defensive or lashing out. avoiding pushing them to move too quickly and by being ready to provide all the facts and data you have. D-style managers put a strong emphasis on drive and challenge, so they focus on bottom-line results. They respond best to people who can quickly help them reach their goals. A person with a C-style may be limited by being overcritical, overanalyzing and isolating themselves. Can someone be better qualified for a job because of their profile? Yes, DiSC is often used for hiring and placement decisions. Yes. Leaders and executives are often Ds. No. The association between an occupation and a given DiSC style is modest at best. Sure, for example people with the C-style make the best teachers. Findings suggest that even though there are small, meaningful DiSC-based patterns within some jobs, most occupations contain a wide range of DiSC styles. It would be a mistake to discourage someone from becoming a mechanic because they have an i style or not consider someone for a sales position simply because they have a CS style. Not even girls want to be girls so long as our feminine archetype lacks force, strength and power, Not wanting to be girls, they don't want to be tender, submissive, peace-loving as good women are. Women's strong qualities have become despised because of their weakness. The obvious remedy is to create a feminine character with all the strength of Superman plus all the allure of a good and beautiful woman. Each of these is a Marston quote. Is it normal for your DiSC style to change over time? Yes, if you change jobs. Yes, but only after several years. In general, the average person’s profile tends to stay fairly consistent over time. While you may find small differences in your results from one time taking the assessment to the next, you’re unlikely to experience major shifts in style. However, if it has been two years or more since you last took the profile, we recommend taking it again to ensure the most accurate and up-to-date information. The new adaptive testing technique used in Everything DiSC assessments has made it more accurate. Customers with an I-style tend to be more likely to keep things moving at a fast pace, be interested in bold or daring plans, and interested in establishing a personal connection. People with the S style place an emphasis on cooperating with others within existing circumstances to carry out the task. The i-style individual appreciates vibrant environments and enjoy public recognition. They are likely to put a lot of energy into socializing and maintaining relationships. I’m not sure what you’re asking. How do you get the assessment? 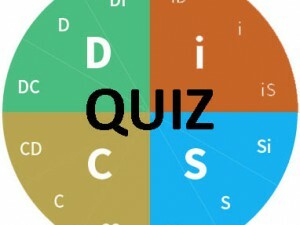 Visit https://www.discprofile.com and choose either the Everything DiSC Workplace or the DiSC Classic profile.